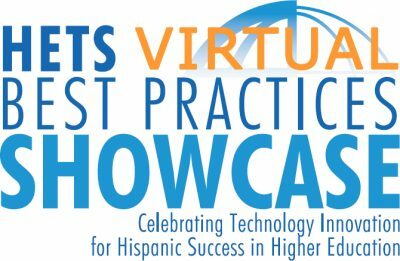 The Virtual Best Practices Showcase will be held from February 7 to 15, 2019. The main purpose of this event is to highlight and celebrate the outstanding work of our member institutions in meaningfully and strategically using technology to achieve Hispanic student success. The event will be free of charge to our member institutions, and no travel cost is required to participate, since it will be completely online. This Virtual Best Practices Showcase will be a combination of live and asynchronous online presentations with forums to interact with presenters and participants. 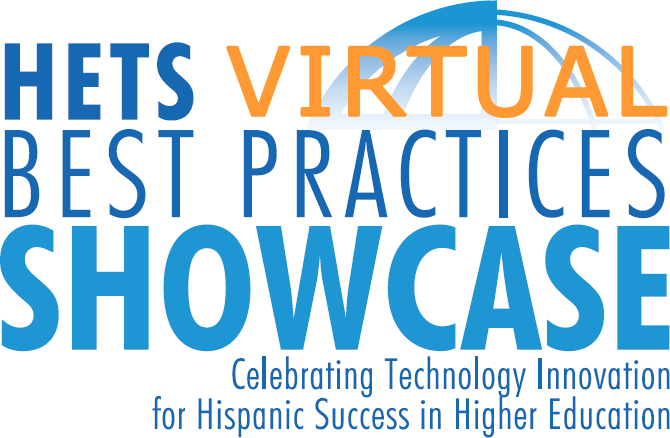 The Virtual and face to face Best Practices Showcases will provide a continuous space for HETS member institutions sharing their expertise in dealing with the Hispanic population and finding ways to provide them with opportunities to succeed. Moreover, participants not only will be able to learn from the showcased works, but also find solutions to many common issues and even establish new possibilities for collaboration with other institutions and potential partners. For more information you can send us an email to: info@hets.org or call our office: (787) 250-1912 exts. 2372, 2373. Don’t forget to share and help us promote this Call for Proposals among your colleagues. Thank you in advance for your support to this important matter, and unwavering support to HETS!